If you’re worried about Breast Cancer, don’t let the cost of a mammogram keep you from seeking help. 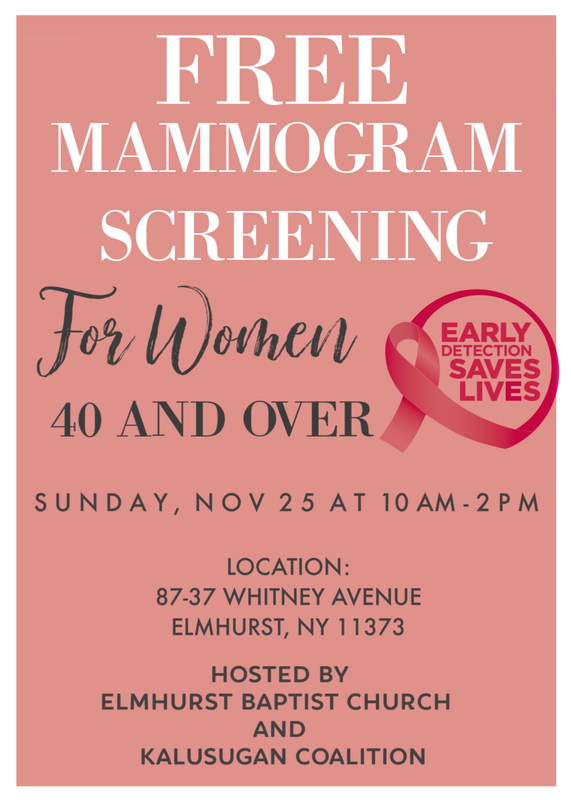 Join us, SUNDAY November 25, 2018 for a FREE Mammogram screening! Screenings will take place on Elmhurst Baptist Church. See flyer below for details.